Witte's upcoming book will be part of groundbreaking series. Emory University's Center for the Study of Law and Religion (CSLR) is launching a new book series on law and Christianity in partnership with Cambridge University Press. Series editor is renowned legal scholar John Witte Jr., director of CSLR. 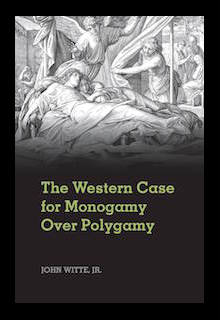 The first title, "Pope Benedict XVI's Legal Thought," edited by Marta Cartabia of the University of Milano-Bicocca and Andrea Simoncini of the University of Florence, will be published in March, followed in April by Witte's "The Western Case for Monogamy Over Polygamy." "A major new law and religion movement has emerged over the past two generations, now involving every one of the world religions," Witte says. "This series will break new ground in studying what Catholicism, Protestantism and Orthodox Christianity have, can and should offer to public, private, penal and procedural law and legal theory." Witte and his colleagues in the field plan to build comparable book series on the interaction of law with each of the other major faith traditions. Comparative ethics, hermeneutics and dispute resolution. "The series will bring together scholars and thinkers from around the world who will explore and comment on how fundamental legal issues are related to, impacted by and enhanced by the Christian faith," says John Berger, senior editor at Cambridge University Press. "Our mission is to further a global intellectual dialogue through research and scholarship, and the Law and Christianity book series is a welcome addition to this endeavor." One series will provide introductions for use in advanced college, law school and divinity school classrooms. Another series will feature fresh studies of great Christian legal thinkers in different eras and areas of the world. The CSLR began at Emory 32 years ago, despite warnings from critics that such a center would lead to advocacy for specific faith agendas and fail to produce serious scholarship. Instead, the center has thrived, leading the way in the complex global field of law and religion, and now drawing on Jewish, Muslim, Buddhist, Hindu and Christian scholars. Some 110 American law schools now have at least one course on religious liberty or church-state relations, and a growing number of law schools offer courses in Christian canon law, Jewish law, Islamic law and natural law. Some 750 books and 5,000 articles on law and religion themes were published in English from 1985 through 2010. More than two-dozen new law and religion initiatives and institutes have emerged in Europe, Latin America, Africa and Australia over the past two decades, and 19 specialty journals on law and religion themes are now being published. The Journal of Law and Religion is edited by the CSLR and published by Cambridge University Press. In addition to serving as CSLR director, Witte is Robert W. Woodruff Professor of Law and Alonzo L. McDonald Distinguished Professor at Emory Law. A specialist in legal history, marriage law and religious liberty, he has published 220 articles, 15 journal symposia and 27 books, eight of them with Cambridge University Press. His writings have appeared in 15 languages, and he has delivered more than 350 public lectures throughout the world.